Travel bookings and visa, tendering procedures, office management. 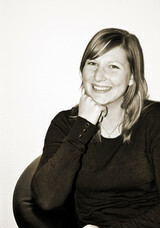 Maike holds an MA in German and English studies. She worked as a translator (English-German) and as a private tutor for languages, mostly with children with a migration background. She qualified for working in administration by passing the IHK training qualification for office management trainees and worked as an administrative assistant in an editorial office in Cologne.